Do we need to reiterate the importance of App Search Optimization? Yes, we do. The fact is while most businesses and app developers realize the importance of ASO as the market differentiator to generate high-quality targeted traffic to their apps, increase downloads and revenue; few take active measures to do so. While few of you won’t make any efforts to optimize the app for search, most of you are likely to approach ASO with the same bent of mind as you would do in case of Search Engine Optimization. While they may sound similar the truth is SEO and ASO are worlds apart. Do You Need Software for ASO? Yes, you do as without one you won’t know where to start from and have to look for ideas and tools everywhere. While there are many tools for ASO, Mobileaction.co is high on popularity charts. This software has been designed to help businesses, app developers, and marketing agencies in their ASO campaign. It offers you with all the information and tools required to boost app rankings on Google Play and App Store from a single window. From research through execution and monitoring, it will help you in every stage of the campaign. How Does Mobileaction.co Do It? Mobileaction.co sheds light on everything that you need to know to manage your ASO campaign. From keywords analysis to market intelligence it arms you with data-driven information. You can use this to take the right decisions with respect to your campaign and stay ahead of your rivals. Keyword Research & Rankings – In the world of App Search Optimization Keyword Research and Analysis occupies the vital spot. Using their Keyword research tool you will be able to identify the most potent keywords that can increase your visibility on the app stores and increase downloads. This tool lets you study keywords used by your competitors, letting you identify their strengths. You can also fix your eyes on keywords that you are likely to target in the future. Apart from this, you will also be able to get detailed insights on the rankings of the keywords that you are using for the campaign and alter your strategy based on popularity and search volumes. Competitor Analysis – The software allows you to select competitor(s) and get a detailed report about their campaign. You can choose the shared keywords that you have targeted and compare your rankings against your rival(s). Its advantages don’t end here as you will be able to identify potential keywords to be used in your campaign at a later stage. You can randomly choose any keyword and find out the top apps that are ranking for this keyword. New Keyword Ideas – To further your campaign and stay ahead of the competition you will always need to come up with new keyword idea. This is where Mobileaction.co comes to your rescue. Apart from providing you with information on the most potent and popular keywords the software also suggests related keywords that open fresh stream of marketing opportunities. Your marketing initiative has to draw leverage from the performance of your app on Google Play and App Store. You need to stay up-to-date to data relating to downloads, revenue forecasts, and ranking of your app on the store. The robust App Analytics feature of the tool offers you all this and much more. Competitor’s Download History – You can easily get insight into your download history. But what may excite you, even more, is the fact that you can get a complete insight into your competitor’s downloads as well using this tool! With cutting-edge algorithms, they have been able to improve their precision of providing you with this data that helps you plan out your marketing strategy. Daily/Hourly Category Ranking – This is one feature that makes this software special as you will have meaningful data with respect to real-time ranking of apps across countries and platforms. You are free to choose apps that you want to compare and select custom timeline and the results will be in front of your eyes within seconds. Country Rankings – Whether you are marketing a region-specific app or one that is meant for universal users, country-specific app rankings allow you to get deep insights into the performance of apps across geographies. The software allows you to narrow down for apps in any store and for a particular timeline. You can focus on reaching out to the audience where you are ranking at the bottom. Reviews – Let’s put it straight – you need to know what customers think of your app. Reviews are considered an important metrics to understand the strength and weaknesses of the app. With review analysis, you will be able to know what your users want and how you can add value quotient to your app across platforms. Like SEO, the soul of App Search Optimization lies in choosing the right set of keywords. You may be surprised to know this but the top apps on Google Play and App Store can rank for thousands of keywords. Not all of them are likely to drive tons of traffic to the site. This is where finding the High Density and targeting them becomes important. When you get this selection spot-on you will be able to drive in quality traffic to your app and improve the odds of downloads and monetization. In a four-step process, this tool lets you choose the keywords that would drive you towards success. Get Insights Into High-Density Keywords – Mobileaction.co’s database has data on every single Android and iOS app and is still growing. This is something you won’t find too easily and it can provide you insights on the High-Density Keywords your competitors are targeting. Use the search feature in the tool and you will able to get under the skin of your competitor’s app without having to spend hours and hundreds of dollars to get this data. Know Keywords That Matter – While you may find tons of data relating to ASO keywords on the Internet there is a wide line that separates this data from meaningful information. 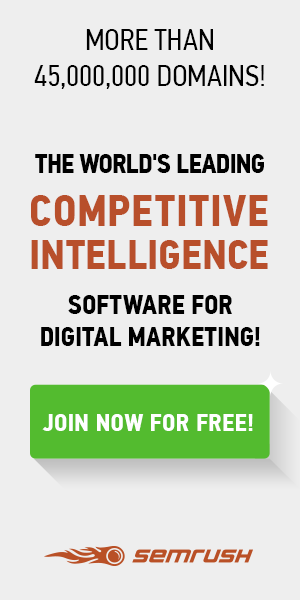 This software lets you identify keywords that important and attract maximum search volume. You don’t even have to spend time prioritizing the keywords as the software will even do this for you. Measure Keyword Score – It is one thing to find relevant keywords and quite another to use them for your success. You get trapped in a ‘Catch 22 Situation’ – high search volume means more competition while low search volume translates to lower possibilities. Mobileaction.co solves it with Search Score and Chance Score. You can use it to know which keywords would improve your odds of success. Act Swiftly & Smartly – Now that you have complete insight on the High-Density Keyword your competitor(s) are targeting its time for some action. Make a list of the keywords that naturally relate to your app and use them in your App’s name, title, description and all other places that would help you spike up volumes of organic traffic. With millions of apps on the apps store, thousands across categories and with around two thousand apps being added each day to App Stores it is the crowded and competitive world. You need to keep your hand on the pulse of the market. When you let down your guard you are likely to witness fast downfall as has happed with once highest downloaded apps that have gone into oblivion. Mobileaction.co has come up with the Market Intelligence feature that addresses this uphill challenge that you are up against. It offers you daily and real-time data that lets you get a clear picture of what is happening in the market. The software offers you detailed information on your competitors’ download which can easily be mapped against your own to get the larger picture of the market. Along with this the Market Intelligence feature also has a Revenue Estimator tool that you can use to get precise information about your competitor’s revenue generation which can serve as a benchmark for you to follow. We have taken a look at four key features of Mobileaction.co and how it is one of the most promising App Search Optimization software that is available in the market. But Mobileaction.co offers many more features that lend a major boost to your marketing campaign. It helps you strategize and methodically execute your campaign. We shall take a look at these and much more in the next part of our review.